Why wait for new construction? Priced to sell! This beautiful 3 bedroom, 2.5 bath single family home located in the beautiful, amenity filled neighborhood of Watermark. This home has a great layout, and very open feel to it upon entering all while being extremely energy efficient. Master bath has a separate tub & shower. Spacious loft upstairs. Home is very well kept! Perfect Disney fireworks view from the porch. Amenities include the following: clubhouse with viewing deck to sit and enjoy fireworks from nearby attractions, pool with water slides & splash pad, amphitheater, fitness center, playground, tennis courts and more. Home is located very close to Disney's Magic Kingdom, Orange County National Golf Center, and Disney Golf Courses. 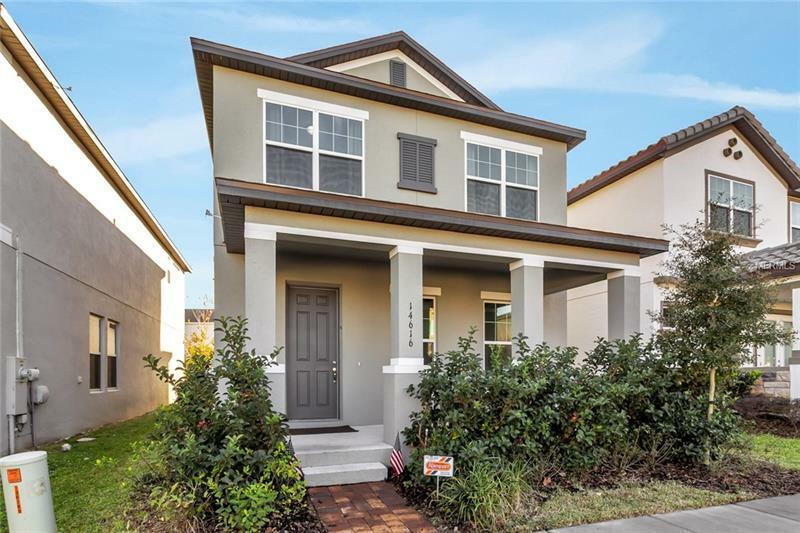 This home is located in the Horizon West area of Winter Garden, which brings a plentiful amount of dining, shopping, and a very family friendly area!